Home The Great Outdoors Camping Minnesota’s 2017 I Can! Programs Are Underway! Minnesota’s 2017 I Can! Programs Are Underway! 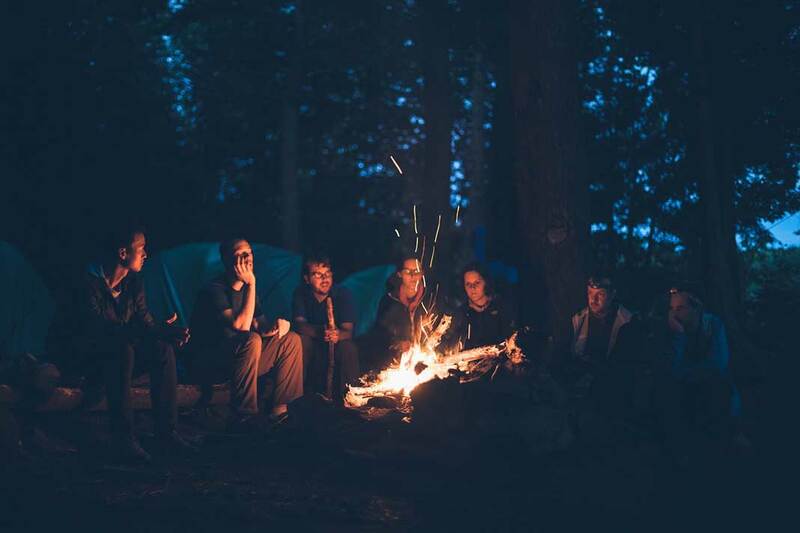 The campgrounds were almost all full at Minnesota state parks and recreation areas over Memorial Day weekend but for anyone who felt left out because they didn’t have any camping equipment or experience, there’s an easy solution: Sign up for an overnight I Can Camp! program this summer. The I Can Camp! programs introduce families to the fun of camping by demonstrating how—and providing opportunities to try—to set up a tent, start a campfire, prepare meals and more. Tents, cook stoves and other gear will be provided, and instructors will be on hand day and night to answer questions, provide encouragement and lead activities. I Can Camp! – Practice basic camping skills at a one-night or two-night program, and sleep on comfy air mattresses in tents large enough to accommodate two adults and up to three children ($60 for one-night programs or $85 for two-night programs). I Can Paddle! – Get the family out on the water for a guided canoeing, kayaking or sea kayaking adventure (prices vary). I Can Climb! – Experience the thrill of rock climbing with instruction provided by trained professionals from Vertical Endeavors Guided Adventures ($10/child, $20/adult). I Can Mountain Bike! – Learn riding techniques and explore mountain bike trails with guides from the Cuyuna Lakes Mountain Bike Club ($15/child, $25/adult). I Can Fish! – Show your kids the fun of casting into the water and the excitement when there’s a tug on the line! ($5/person, children under 12 are free). The I Can! series also includes Archery in the Parks, which is free and for which no reservations are needed. For more information about any of the programs—including program dates, times, locations, and minimum age requirements—visit the I Can! page or contact the DNR Information Center at info.dnr@state.mn.us or 888-646-6367 (8 a.m.-8 p.m. Monday through Friday, 9 a.m.-1 p.m. Saturday). To register for any of the programs, visit the reservations page or call 866-857-2757 (8 a.m.-8 p.m. daily, except holidays). The Minnesota state parks and trails “I Can!” program series is made possible with funding from the Parks and Trails Fund, created after voters approved the Clean Water, Land and Legacy Amendment in November 2008. The Parks and Trails Fund receives 14.25 percent of the three-eighths percent sales tax revenue that may only be spent to support parks and trails of regional or statewide significance. The I Can! programs received a Government Innovation Award in 2015. More than 12,800 people have participated in these programs since they were first offered in 2010.